School is out so summer is upon us and the toes want to be freed from closed toe shoes. Enter the sandal. What type is best for you? Not all sandals are created equally. When you invest in the cheaper shoes without arch support, you get what you pay for. Look for a sandal or flip flop with a thicker sole and an arch support. Like winter shoes, you should not be able to bend the shoe at the midfoot or arch area. Additionally, you may incur tendonitis pains if you don’t find one with enough strapping on the top of the foot. Why? Because your feet work overtime to keep them on your foot when you swing your foot from the ground. 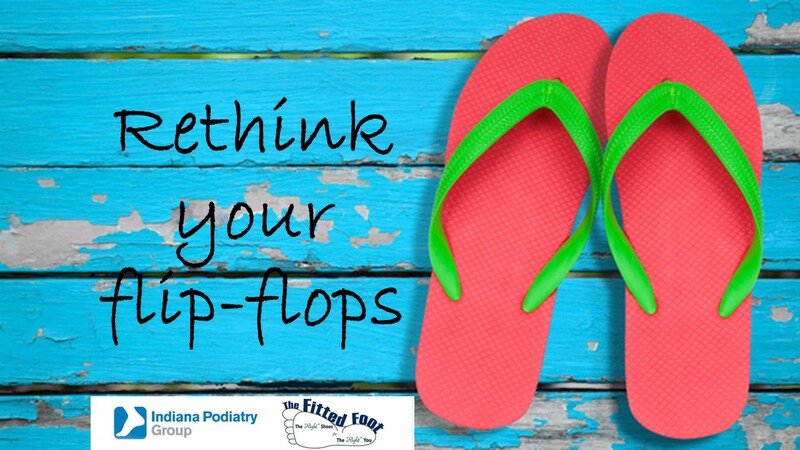 A lack of support in your flip-flop can even lead to stress fractures and heel pain. My recommendation this summer is Vionic or Olukai sandals.